The Green Machine takes advantage of Cleveland’s city-wide infrastructure initiatives and coalesces them on the Detroit Superior Bridge. 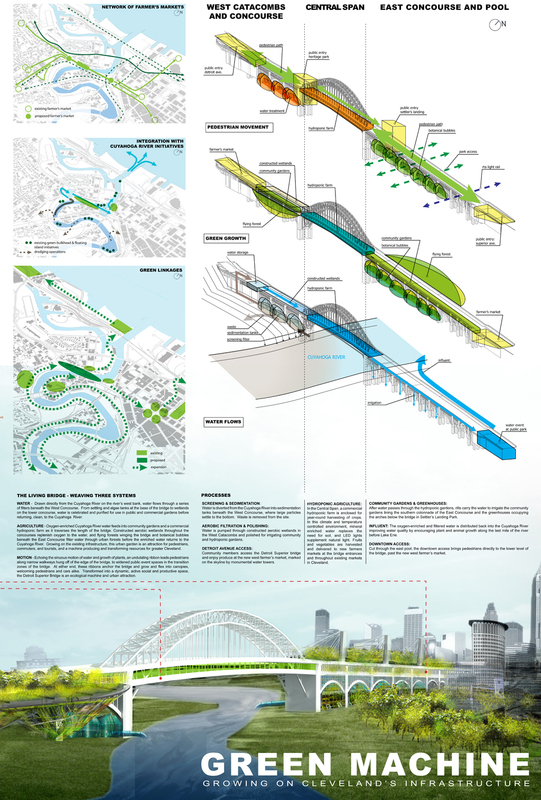 This bold intervention creates a unique urban environment that draws water directly from the Cuyahoga River below to be purified and used in public and commercial gardens before returning to the river and Lake Erie beyond. Within the structure, oxygen-enriched water feeds community gardens and a commercial hydroponic farm as it traverses the length of the bridge. Constructed wetlands replenish the water for use in a series of flying forests and botanical bubbles, which in turn filter the water before its return to the river via an improved Settler’s Landing Park. 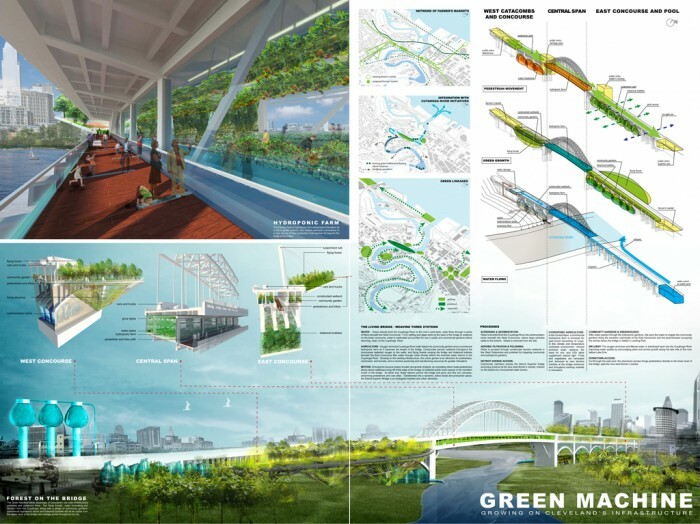 Growing literally on and within Cleveland’s existing infrastructure, the Green Machine looks towards the city’s industrial past to create an attraction for pedestrians, commuters, and tourists. 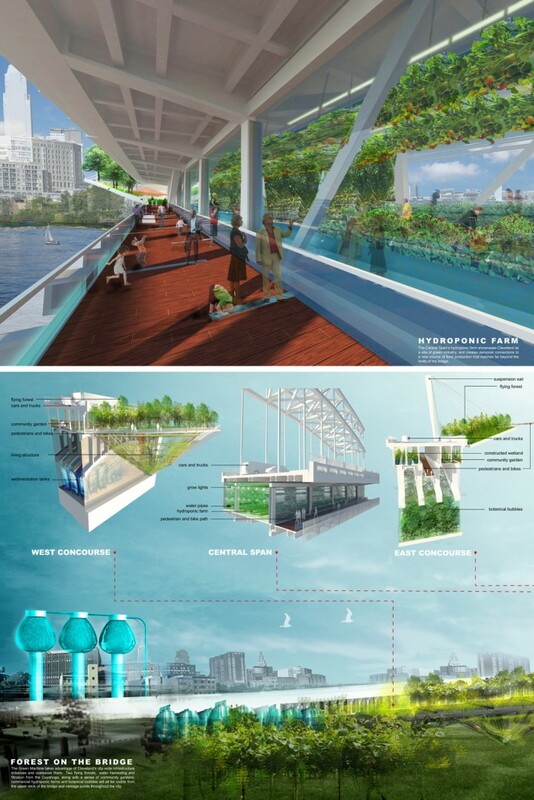 A machine for producing and transforming resources for greater Cleveland, the reinvigorated Detroit Superior Bridge and its new gardens will be visible from the upper deck of the bridge and vantage points throughout the city, a symbol of Cleveland’s continuing re-birth.